Let’s get this on the table now: Formula 1 racing hasn’t aged well. 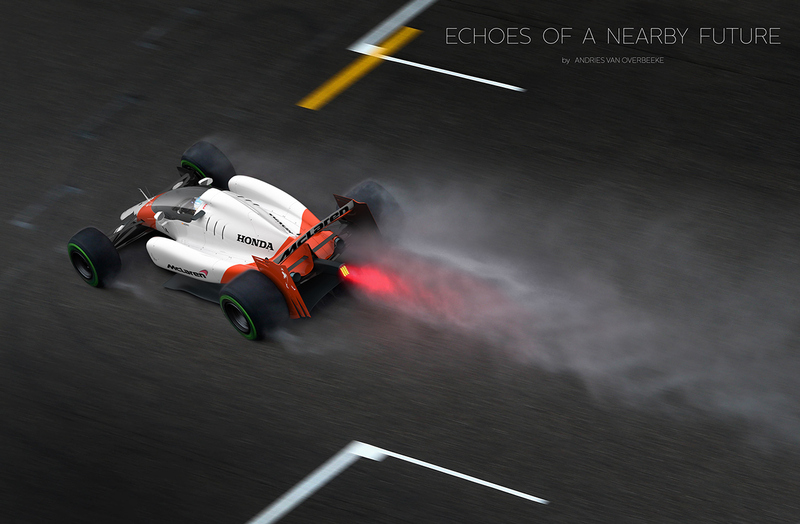 Overburdened with rules and regulations, F1 has become more dangerous but ironically less exciting at the same time. It’s also become inaccessibly expensive for all but the most wealthy teams to boot. This being said, running a successful team requires a fortune, which means many contenders can’t even hope to secure a victory. As numerous as these problems are, Dutch artist Andries van Overbeeke thinks they can easily be overcome. Weirdly enough, the first improvement he suggests is to ramp up driver safety with a closed cockpit. Too many drivers are hurt or killed by loose components, so giving them a protective greenhouse would cut down on accidents significantly. Opponents cite ugliness and tradition in their argument against such a modification, but Overbeeke’s renderings are astoundingly beautiful and certainly look like they’d evolve F1 in a positive direction. The excessive aero-modifications are central point of the Dutch artist’s criticism. 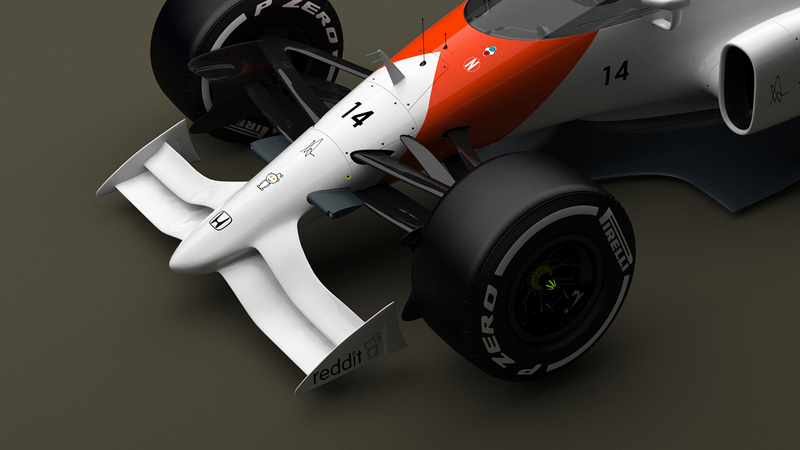 In his renderings, he has reduced the amount of small down-force producing elements on the cars’ exteriors and instead gives them low and wide front splitters. This change is in part to cut costs but also to heighten excitement in every race. The fragile aero components can easily be damaged and cause cars to either flip or slow down if anything happens to them. Thus, passing opportunities in F1 occur with less frequency than fans would like. Again, Overbeeke’s modification to race design would change this: more safety is tantamount to more exciting racing. 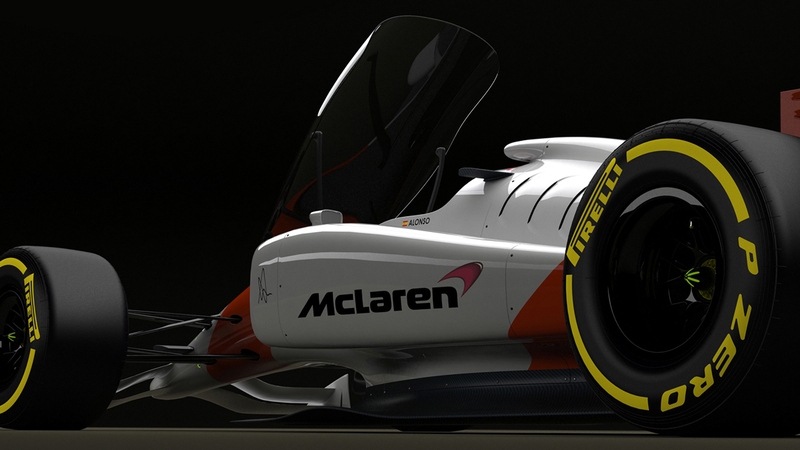 Making a change to an organization so deeply saturated with tradition is an immense task, but these renderings just might be what it takes to convince F1’s regulators otherwise. Email Billy Rehbock at williamrehbock12@gmail.com, Tweet him, or leave a comment to let him know how he’s doing!